VERY RARE Wax football wrapper issued by Consa in 1983. Measures approximately 6.7 x 8cm. 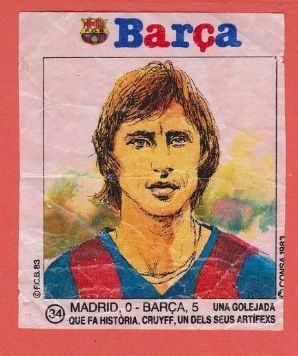 Depicting the Barcelona and Holland star Johan Cruyff. Has some creasing and a small split on right hand side otherwise in good condition.